Whether your skin is hot, tired, itchy or dry on your temples, tummy or toes, look no further! 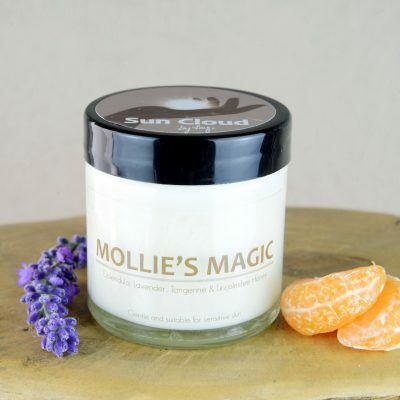 This cream combines cooling peppermint, anti-bacterial tea tree and relaxing lavender essential oils in a nourishing easily absorbed Lincolnshire beeswax base. 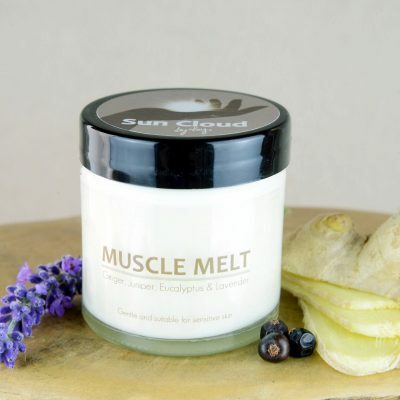 From a cracking headache to sore weary feet, this will help soothe, cool and relieve. 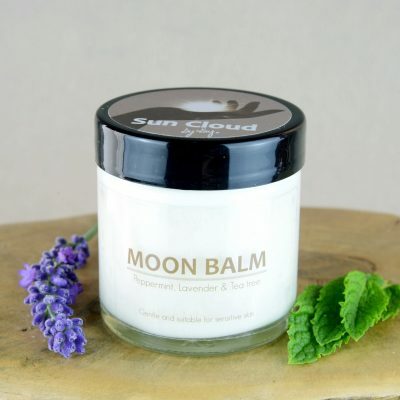 Apply moon balm to your forehead to help ease headaches. Applying as above may help to reduce a fever. Rub a liberal amount to your chest when suffering from indigestion. IBS sufferers apply to mid and lower tummy 10 minutes before eating, the essential oils will be absorbed and will calm the digestive system ready to receive food better. Apply to tummy to help ease carsickness, D&V, and spasms. 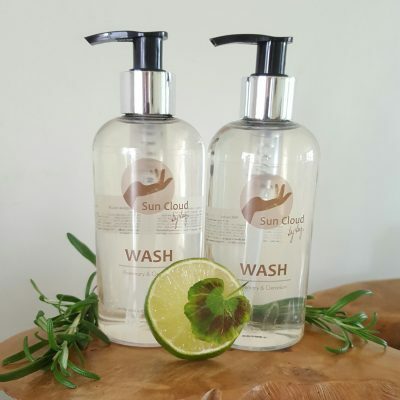 Use as a cooling & calming after sun and for sun burn. Apply to your feet for a refreshing treat. Use on cuts, bites & stings. Use on corns & calluses. 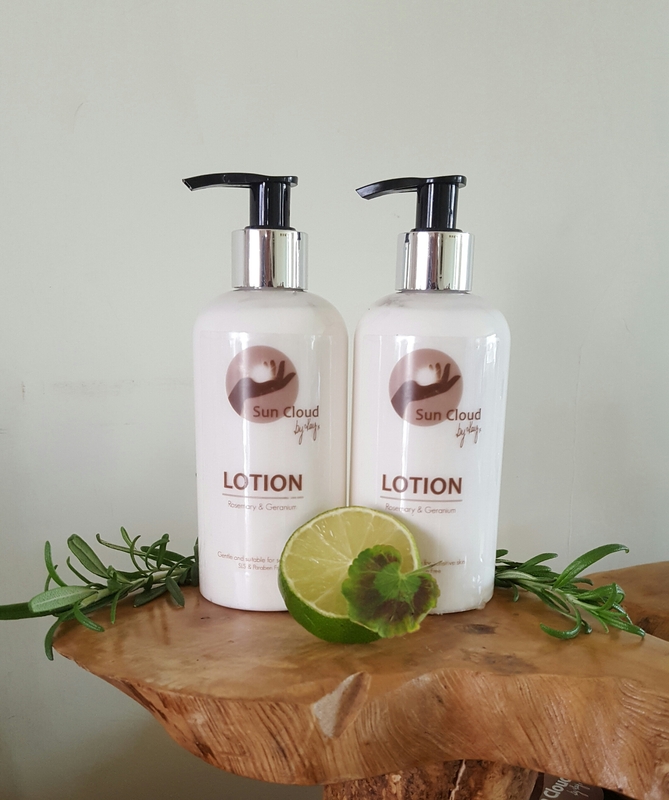 Use on feet as it’s a superb anti-inflammatory & analgesic. Antidepressant, stimulant, uplifting, promotes mental clarity, alertness & concentration, inspire & deepen intuitive insight, invigorates the mind, body spirit. Avoid in early pregnancy due to lavender. Avoid in pregnancy due to Peppermint. Tonight i used it on prickly heat, stopped it itching straight after application wow!! and thought I know will put some on my feet, CANNOT believe how soft they are!!! Not sure if it’s for either but another blooming good product! Eddie came home, banging headache, 2 dabs of moon balm on forehead and headache gone within 20 minutes! I purchased Moon Balm for the use of anxiety & panic attacks, as recommended by Kay. I apply Moon Balm to my pulse points on my wrists, & to my temples, to aid relaxation, & peaceful sleep. 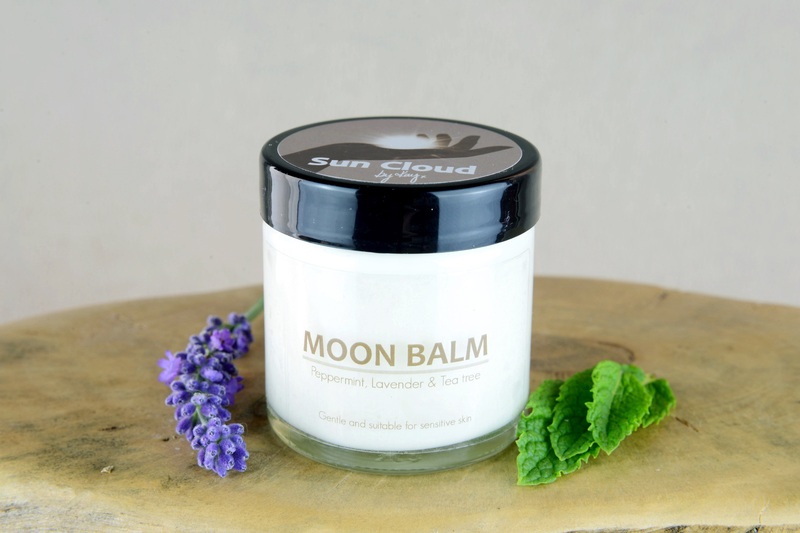 Moon Balm has a beautiful & soothing scent; the most prominent is peppermint. When I apply the Moon Balm to my skin, it’s so silky smooth. I have had positive results following the use of Moon Balm. I reach for it each time I need a reprieve, with the full & reassuring knowledge it’s both natural & handmade. This helped my husbands cough and therefore helped us both get a good nights sleep! Moon Balm cured the heartburn I used to suffer with at night. I use it on insect stings and very quickly it relieves the discomfort. Smells gorgeous too. Perfect for everything and smells incredible! Highly recommended. Smells so lovely and really and is soothing in every sense. Got sunburnt again yesterday! Applied moon balm and the burn was eased almost straight away! Love the stuff! !